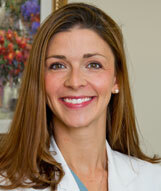 Dr. Woods is a Dallas native, growing up in Richardson and attending JJ Pearce High School. She then went on to receive her undergraduate degree from Belmont University in Nashville, Tennessee in 2002, and her medical degree from Texas Tech University in 2008. She then returned to Dallas to completer her residency at the University of Texas Southwestern Medical Center, Parkland Hospital. Dr. Woods has worked in affiliation with Texas Health Presbyterian Hospital of Plano since 2012 and is now very excited to join the Northlake Ob/Gyn family starting in September 2015. Dr. Woods is board certified in Obstetrics and Gynecology and is a member of the Dallas County Medical Society, Texas Medical Association and is a Fellow of The American College of Obstetrics and Gynecology. Dr. Woods is married to Michael, they have a son Michael David and they recently welcomed their daughter Katherine. She enjoys cooking, entertaining and traveling whenever she gets the chance.